I’m very excited to introduce you to my brand new series – REAL PIGEONS! I’ve poured my heart, soul and (bird) brain into these stories and amazing illustrator Ben Wood has drawn the funniest pigeons, crows and bats – among other creatures – that you’ll ever see. 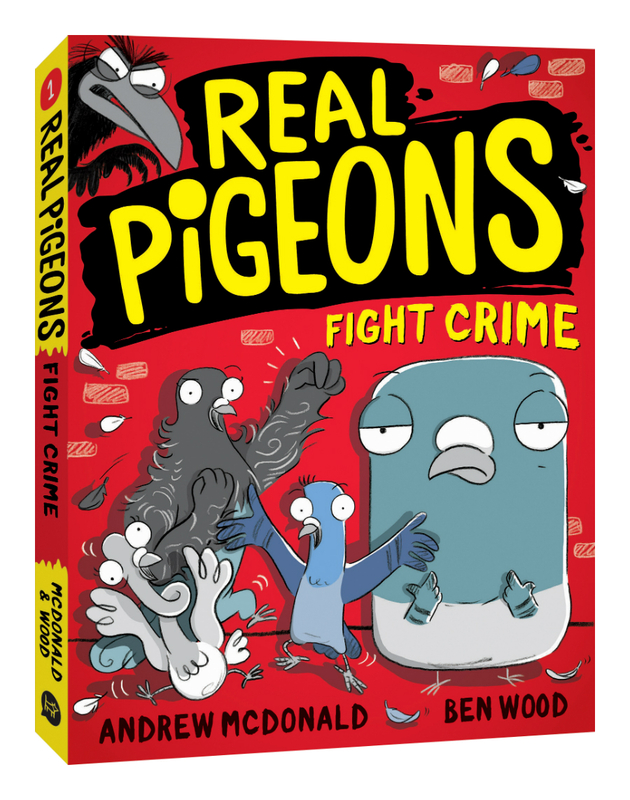 Book one is called Real Pigeons Fight Crime and book two is called Real Pigeons Eat Danger and it’s out in November 2018. So please get ready to join Rock, Tumbler, Frillback and Homey. Because fighting crime has never been so COO!